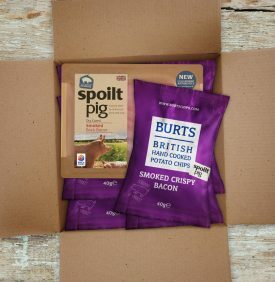 Win a box of Burts spoiltpig chips and bacon! It’s been a while since the wonderful chaps over at Burts Chips have made what we think is the ultimate crisp. And – if you haven’t already – we thought you might welcome the opportunity to try them. For your chance to win one of four boxes of Burts spoiltpig chips, each despatched with two packs of your favourite bacon, simply enter your name and email address below. You can find your nearest spoiltpig stockist here. Find out more about Burts Chips here.